Boom! Colombian-born J. 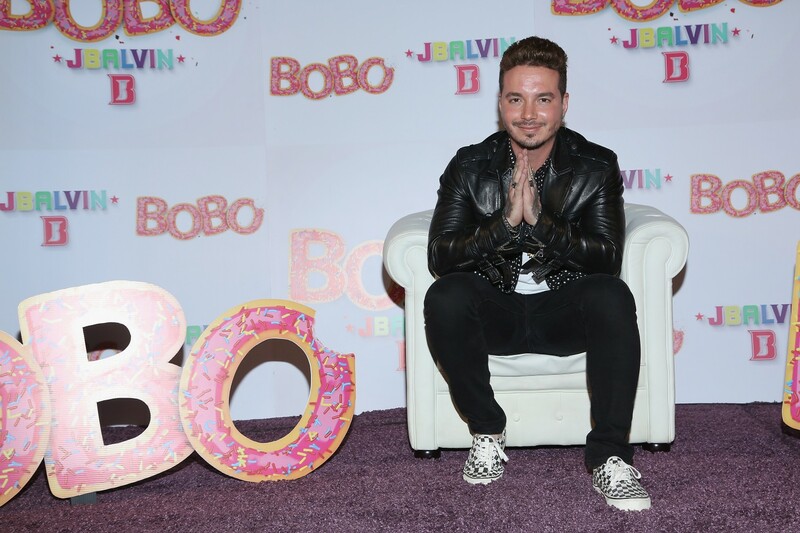 (José) Balvin is living his dream – and then some. After just four weeks, his single “Mi Gente,” in collaboration with French artist Willy Williams, just became Spotify’s #1 hit worldwide. And unlike the huge summer hit “Despacito,” the cool thing is that he didn’t need –or want –to put any English in it. When Williams sent him the beat, J Balvin told NBC News, he had a feeling it would be successful, and said he wanted to do it in Spanish. Balvin has skyrocketed as one of the top Latin music superstars, with seven #1 singles including the smash hit “Ginza,” that had the longest-ever stay, of 22 weeks, at #1 on Billboard’s Hot Latin Songs. He’s had crossover collaborations with leading artists like Justin Beiber, Pharrell Williams, Ariana Grande and Major Lazer. His groundbreaking and Latin GRAMMY-winning album “Energía” was the most consumed Latin Album of 2016 alone. His brand of music is heavily influenced by rock, hip-hop and what can be called a more unifying, or second generation of reggaeton. Balvin strives to erase barriers between people through his music. Indeed, it, he is taking the world by storm; millions every week. At the time of this writing, “Mi Gente” has had 258,136,266 views and climbing on YouTube, far outpacing Despacito’s momentum of four months and its Spanglish version to become the sensation that it is. For J Balvin and other Latino musicians, streaming has been a big factor in their songs’ success. All that indicates many good things to come for J Balvin as well as other Latino musicians and the incredible sounds they’re producing. Be on the lookout for J. Balvin’s “Energia” tour throughout the US during Hispanic Heritage Month, starting in Washington, DC on September 14th.